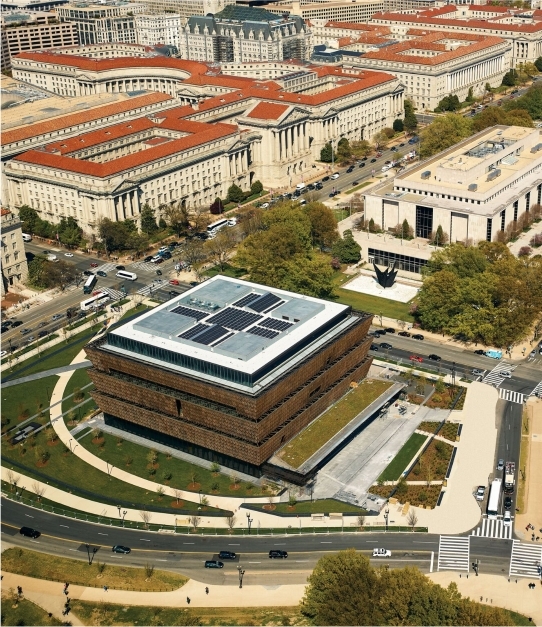 The Smithsonian National Museum of African American History and Culture consists of approximately 350,000 square feet. 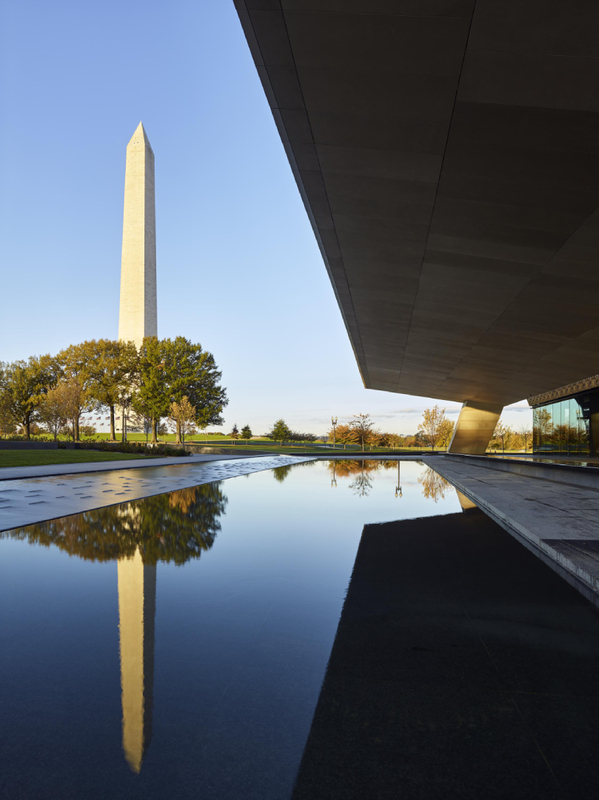 The three major components of design are the grand porch at the entrance from Constitution Avenue, the corona shape of the structure, designed to resemble a crown, and the bronze corona cladding around the building. The structural steel consists of heavy plate girders, box girders, box columns trusses, beams and columns. The four concrete core towers are linked at the top by steel trusses. The grand porch includes very heavy box columns and plate girders with 16” mid-span camber. 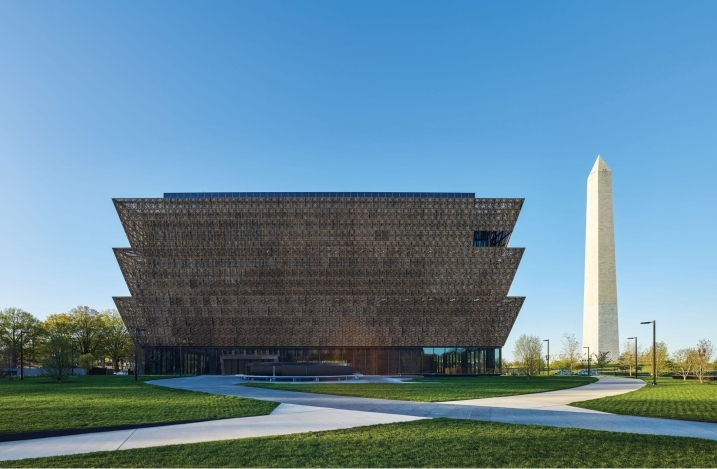 The building is positioned on the National Mall in Washington D.C. on the last remaining plot of land just beside the Washington Monument. The most challenging aspect of the job was the sheer number of heavy members, plate girders, box beams and box columns and very complicated connections between those members. 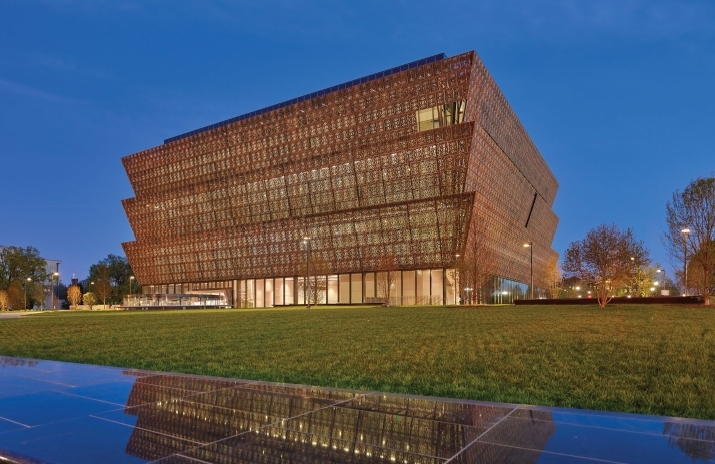 Additionally, the structure was very compact which required the steel detailers, design team and connection designers to work closely with one another to utilize the best connection for each specific location. The Porch Structure (which included a 16” camber at mid-span) was designed with long span, heavy plate girders and heavy plate box columns. The project was design-build which also presented challenges in maintaining quality and schedules while implementing changes throughout the project. What were the challenges and made the project succesful? The success of the project was due in large part to excellent cooperation amongst all parties. The use of Tekla Structures software allowed for resolution of clashes during BIM coordination and was also reviewed by the contractor to get a visual representation of issues and conflicts that were questioned by the detailing team. The Tekla Structures model was also made available in the field which allowed for extensive coordination between concrete and steel which was crucial on this project. As steel detailers, we were able to increase and decrease the team size as the job progressed through revisions and completion of areas. 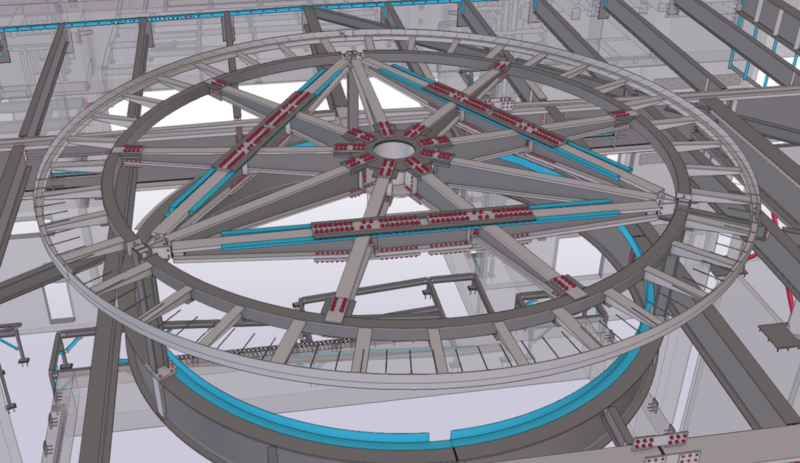 The complexity of the members and their connections was handled well by experienced Tekla Structures users which resulted in shop and erection drawings that were clear and complete. Thorough documentation was kept through the detailing process including tracking of changes, RFIs, status of members detailed, released for fabrication and on hold, etc. 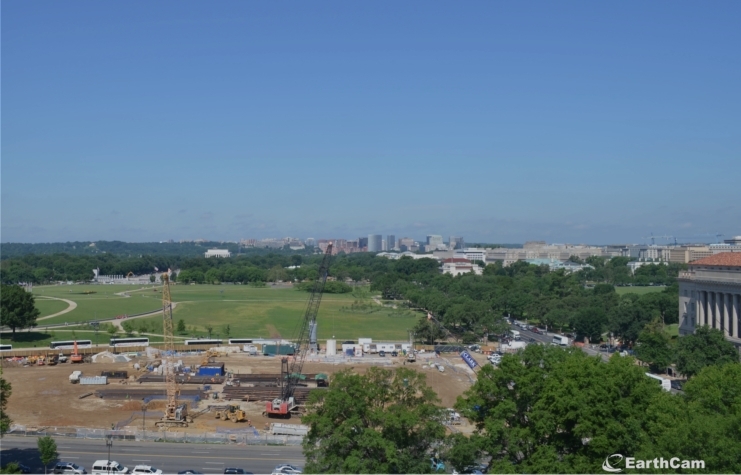 This cooperative spirit, by the project team, the experienced steel detailers and the use of Tekla Structures to illustrate issues, handle complex connections and to participate in the BIM coordination process were all factors leading to a successful conclusion to the steel detailing portion of this project. Various project specific reports could be generated including, Advanced Bill of Material reports, Field Bolt lists as well as specific requested reports for the erector and fabricator for tonnages, members lists, etc. Customized macros could be used to simplify processes from the modeling stage and creating drawings through the time where drawings were released for fabrication and field use. 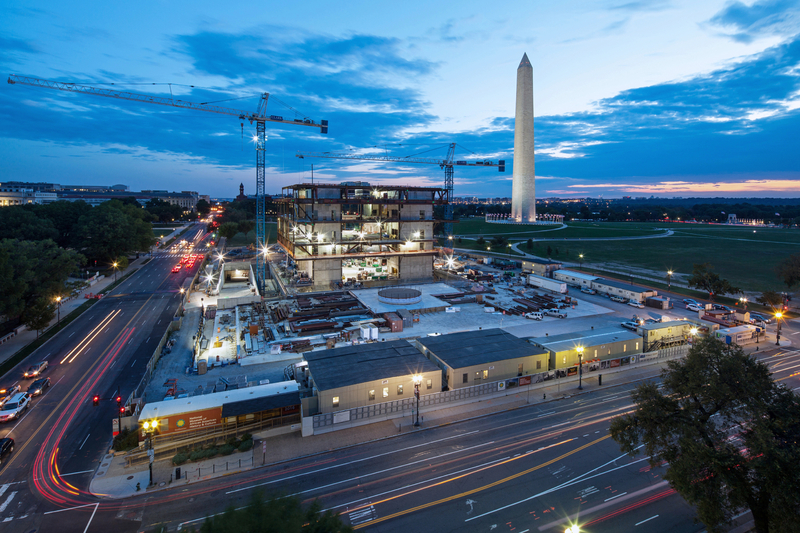 Our company has received the Washington Building Congress Craftsmanship Award for detailing over 4000 tons of steel on this project and the highly respected Star Award for Excellence in the Face of Adversity, which was presented to the project team leader, Mikolaj Zak, for the highest quality job that was done under the most difficult conditions. Compudraft has also earned national recognition in the 2017 Innovative Design in Engineering and Architecture with Structural Steel awards program – IDEAS² – which were presented from the American Institute of Steel Construction (AISC). The category won was “Over $75 million” in constructed value. 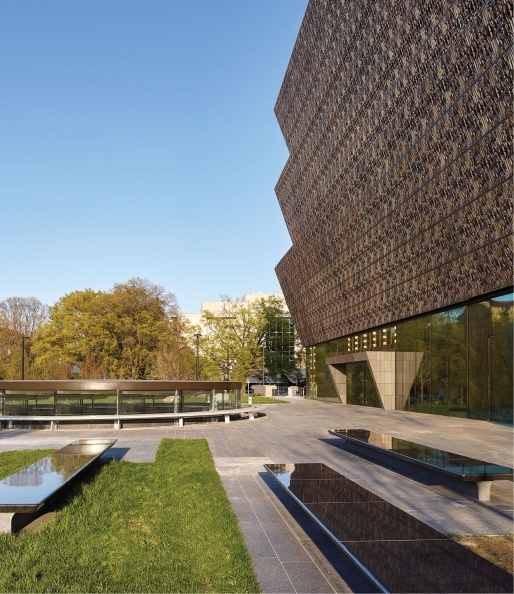 We were also included the prestigious Tekla North America BIM Awards 2015, where Prodraft, Inc. was the recipient of the “Public” category award for our model on the NMAAHC. Our work on this project was described in the Modern Steel Construction magazine on the November 2016 Issue explaining the complexity and innovation of the steel structure design and how all teams involved on the job coordinated to achieve time-efficient and precise solutions.